All our gigs and clubs are free entry. YEP. It costs you nothing to get in! From Monday to Thursday we host live music from local bands, touring bands and more which covers all manner of styles. We pay all the bands that play, we feed them AND we give them a rider! So if you are new to the city and looking to play a gig then why no get in touch? Gigs run from around 9pm onwards. Our club nights are also FREE! Friday and Saturday we host different nights, DJs and more, we also periodically run club nights during the week! Our bar is open until 3am 7 NIGHTS A WEEK. We have commercial music, indie disco, rock & roll extravaganzas and more. Every Sunday, Jamie Sturt and friends host our open mic. Why not come down and try out some originals, some classics or indeed some covers. We have a whole smorgasbord of treats for you! The Main Menu - we have everything from our Mad Mac (pictured above) to tacos, dogs and much more. A steak or veggie burger with fries and slaw! We have a vegan option too! Chicken breast pieces in a spicy coating with fries + slaw! A choice of indulgent Mac ‘n Cheese or feisty Cajun Chicken Pasta Bake! 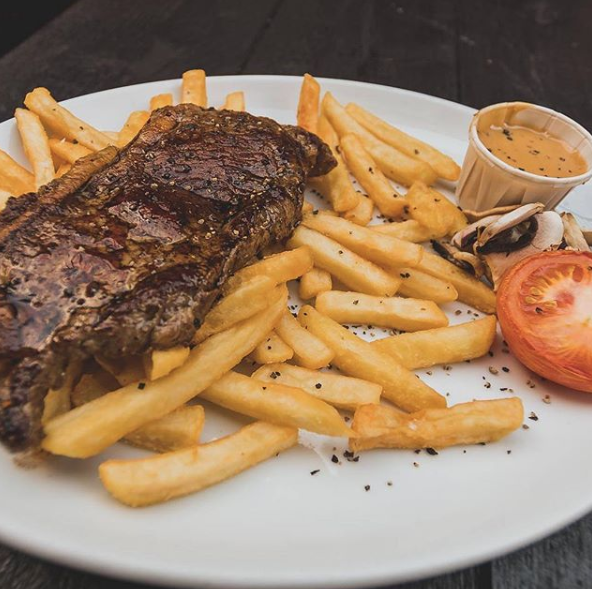 A 6oz sirloin with fries + peppercorn sauce! A bockwurst or falafel dog + fries! We have vegan options too. We have a wonderful range of vegan and veggie options! Our breakfasts run from 11am - 2pm Saturday and Sunday! 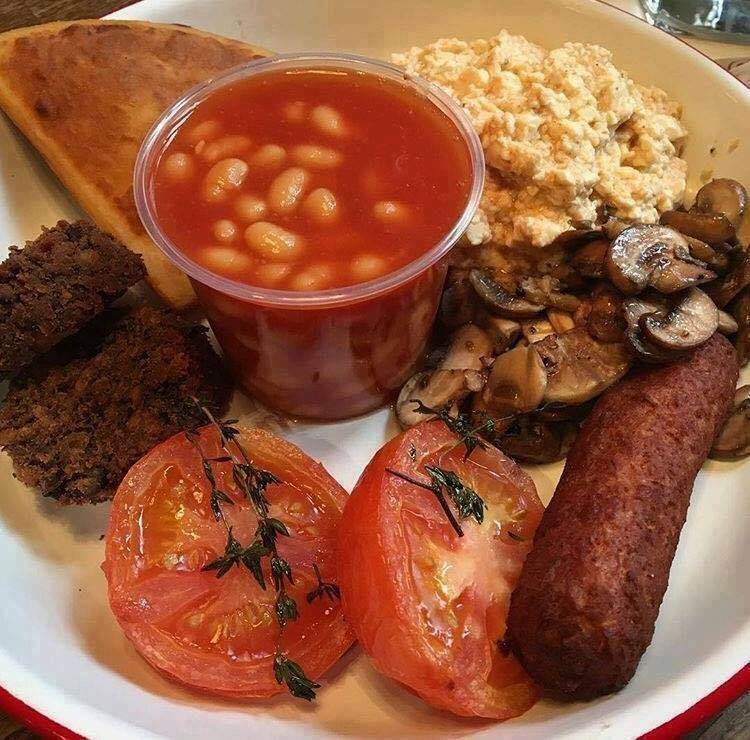 You can get a vegan breakfast for £5 or a full Scottish for £6. Feeling flash with the cash? Why not get our 10oz Rump For A Tenner deal? What it says on the tin! We know that cheap drinks are one of the staples of your university experience. We encourage drinking responsibly, but we do have excellent prices for you to take advantage of. You can get a bottle of beer starting from £2 and a pint starting from £3. Premium spirits AND dash from £3.25 and white/black Russians from £3.25 too. But wait, there’s more. You can get a bottle of house wine for £10 AND A BOTTLE OF PROSECCO FOR £15!! !